The motors were hinged in such a way that their weight kept their spindles in contact with the wheels forming a simple reduction drive. It was bought to mind because I was describing to my friend who is teaching Arduino programming and wants a cheap, easy-to-make, way to get a small computer mobile. This motor drive circuit is for the same purpose. 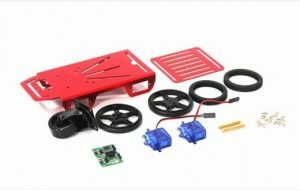 On a whim, I googled around and discovered that you can get almost exactly the same thing now as a kit, for the same price as two motors would cost individually. Not only do these have proper gearboxes rather than friction drive, but they have a battery box too, and some of them have places to put slotted opto-sensors to provide wheel rotation (~distance travelled) feedback. You can buy such a thing from many places, including from the Far East, through Amazon, here (above). The Arduino company also does one (left), which appears to include a motor driver board too, although I am not sure it has the option for speed feedback. By the way, Arduino-compatible motor drive pcbs can be bought for under £7 too – quad protected H-bridges in this case. And here is a stand-alone dual H-bridge for under £3. Looking at these, I got introduced to a motor control chip I have not seen before – the HG7881 or L9110, which is used on some cheap driver boards. 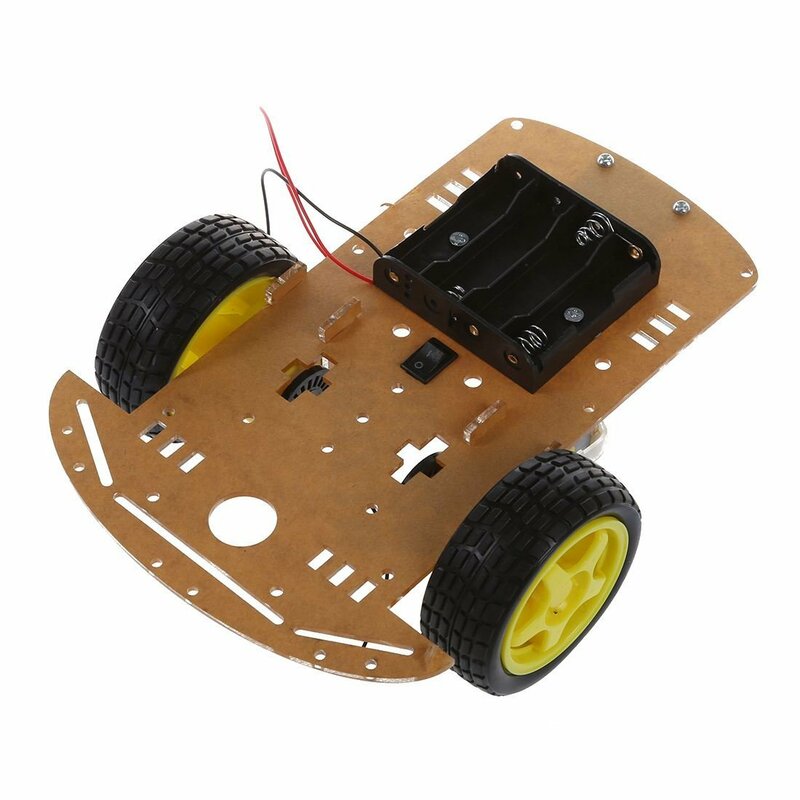 Rated at 2.5-12V 800mA – Banana Robotics has a description of a board using these.